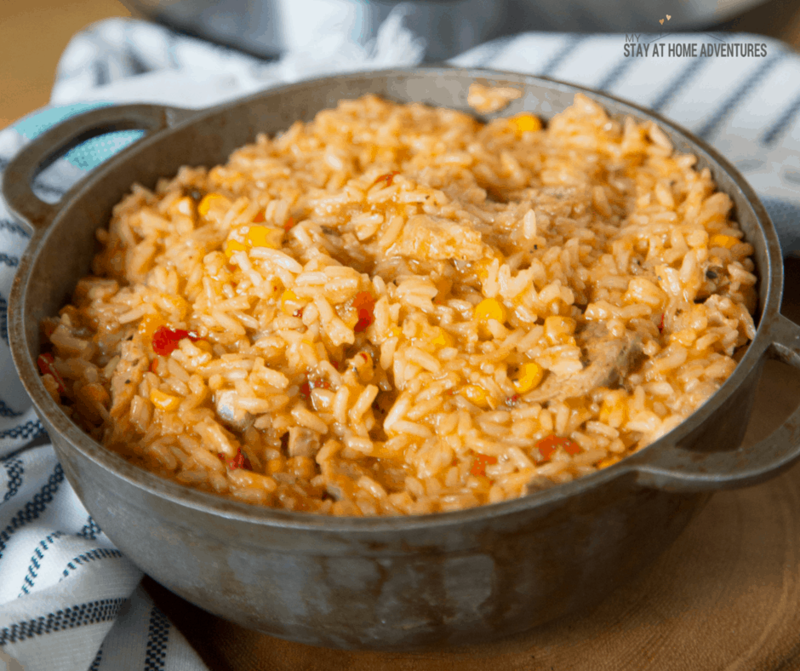 This Instant Pot Rice with pork chops is a flavorful dish you and your family are going to love. 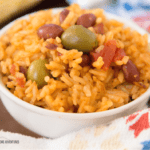 This Puerto Rican rice is a one-pot recipe you are going to love, my friend! What I love about this Instant Pot Rice with Pork Chops is that you can use any kind of pork you want. 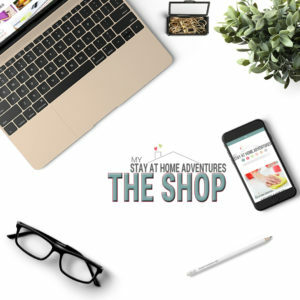 I also love that is super affordable to make! 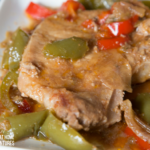 This recipe is also known as Arroz Guisado con Chuletas and basically what this recipe is stewed pork chops with rice. Now if you want your rice super moist you may want to add more liquid and if you don't that's fine. 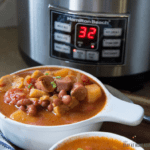 This Instant Pot Puerto Rican Arroz con Chulatas is the type of recipe that you can add any vegetable or season to make give it the taste you desire. 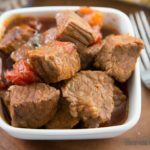 You want to skip the red peppers, you can! You want to add potatoes too, you can! 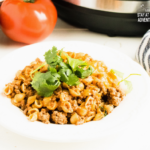 You can seriously make this delicious recipe and add anything your little heart desire! This Instant Pot Arroz Con Chuleta or Puerto Rican Rice with Pork Chops contains Sofrito and Sazon, and if you don’t have sofrito you can find the recipe here or purchase it! If you don't want to add sofrito I may suggest you use dry seasonings to bring the flavor out. 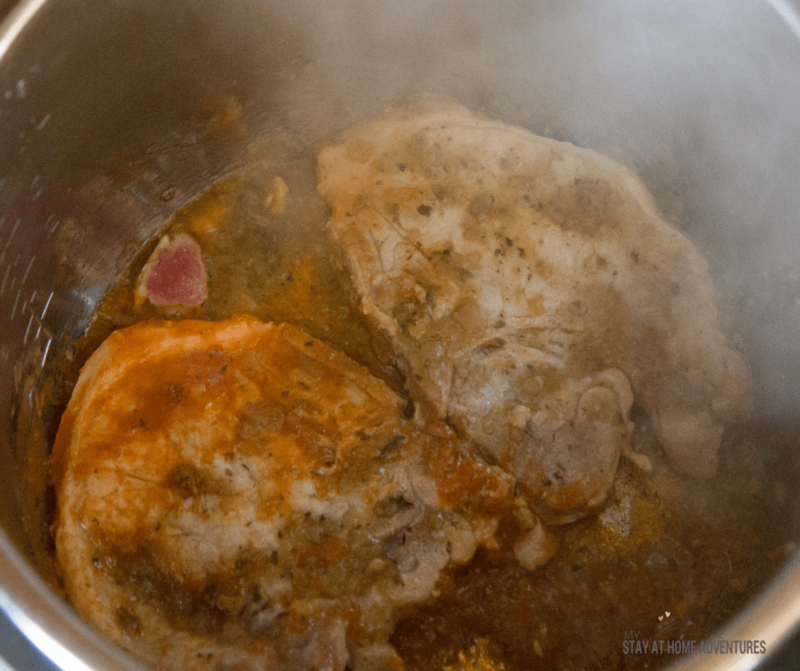 Step 1 – Turn your Instant Pot to Saute and add olive oil, sofrito, and pork chops. Step 2 – Brown the pork chops for a few minutes and remove. Step 3 – Add onions, peppers, olives, tomato sauce, Sazon and blended and mix for about 3 minutes. 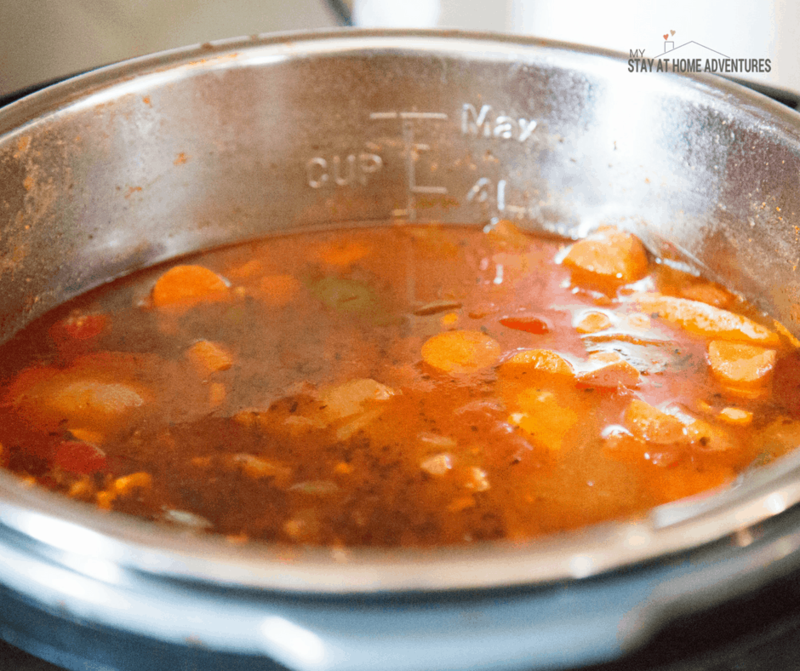 Step 4 – Add the carrots, carrots, corn, and broth and stir for a few more minutes. Step 5 – Add the pork chops and the rice. Step 6 – Stir for a few minutes. 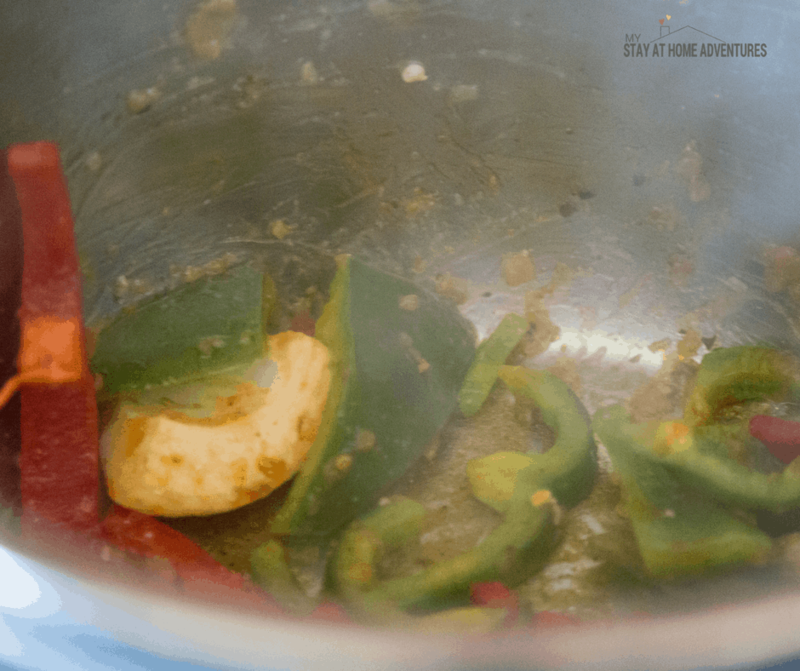 Step 7 – Add lid and stop Saute. Step 8 – Hit Rice for 12 minutes. Step 9 – Natural release. 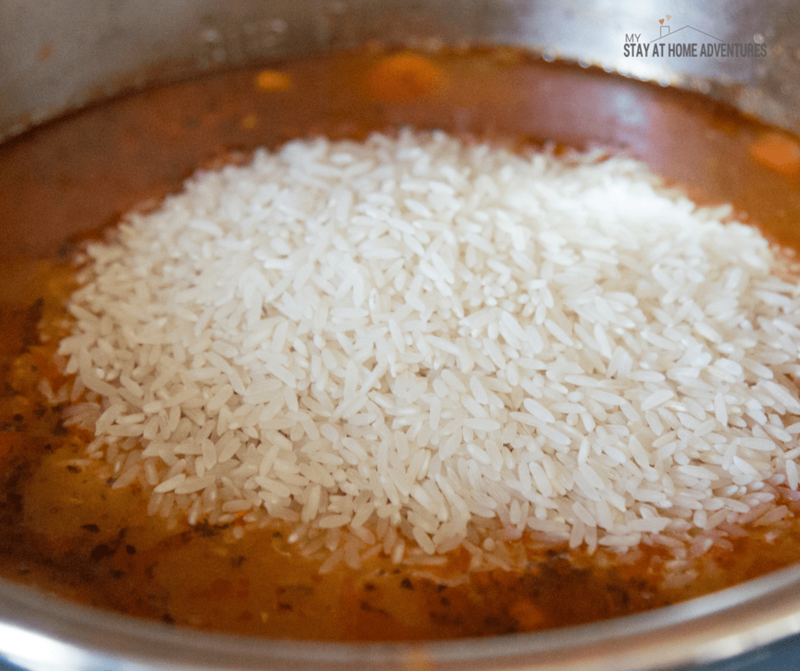 Step 10 – Stir rice and remove bones. 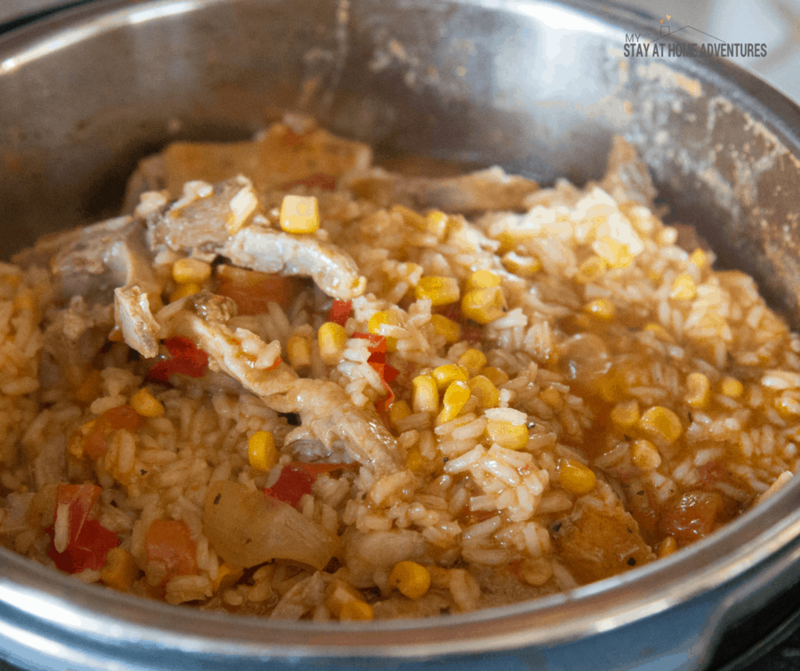 Step 11 – Your Instant Pot Puerto Rican Rice and Chops is complete. Ready to make this Instant Pot Puerto Rican Rica and Pork Chops? Here's the recipe card with the exact measurements. Turn your Instant Pot to Saute and add olive oil, sofrito, and two pork chops. Brown the pork chops for a few minutes on both side and then remove. Add onions, peppers, olives, tomato sauce, Sazon and blended and mix for about 3 minutes. Add the carrots, carrots, corn, and broth and stir for a few more minutes. Add the pork chops and the rice. Stir for a few minutes. Add lid and stop Saute. Hit Rice for 12 minutes. If you want more flavor, add a packet of Chicken bourbon. You can always remove the bone before cooking. 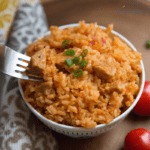 Your turn: What do you think of this Instant Pot Rice with Pork Chops / Arroz con Chuletas recipe? Share your tips and thoughts? I have four med pork chops. Should I slice them up then brown and add? That way the cook properly and in time with the rice? I had six and cut into strips and browned. 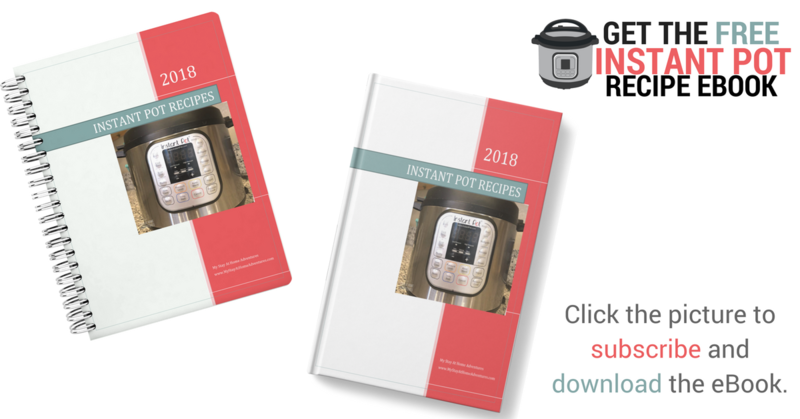 I have QuickPot not the same as InstaPot but close. I did everything the same and cooked on the rice setting or 8 minutes. Still came out great🙂. Thank you for the recipe.